On 30 and 31 August 2015 CODART visited The Hague for an in-depth study visit, on the occasion of the exhibition Rembrandt? The Case of Saul and David, organized by the Mauritshuis and on view from 11 June until 13 September 2015. In addition to our main location, visits to the Prince William V Gallery, Schuylenburch House, a private collection and, on Monday, the Binnenhof complex, have been included in the program. Restoration of Rembrandt’s Saul and David in the conservation studio of the Mauritshuis. On Sunday 30 August the group will visit the Prince William V Gallery, an annexe of the Mauritshuis that is installed to reflect the original 18th-century picture gallery. The visit will be guided by Quentin Buvelot, Senior Curator, and Ariane van Suchtelen, Curator. After this, the group will visit Schuylenburch House, a nearby Unesco Monument built in 1715 after the baroque design of Daniel Marot. It is now the Residence of the German Ambassador. Charles Dumas, former Senior Curator at the Netherlands Institute for Art History (RKD), The Hague, who is an expert on the building, will provide the tour. The day will end with a visit to collectors who assembled a small but choice collection of seventeenth-century Dutch paintings. Emilie Gordenker, Director, will lecture about the exhibition followed by a visit to the show. Epco Runia, Head of Education, will join the tour. 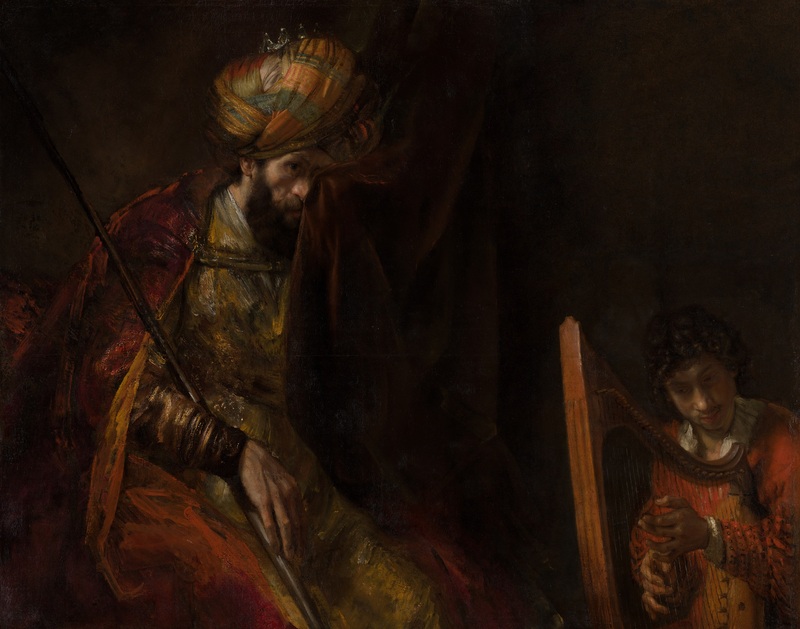 Prof. dr. Joris Dik, Antoni van Leeuwenhoek Professor in Materials in Art and Archeology, Technical University of Delft, will talk about his own investigation of Saul and David and his material and technical research of Old Master Paintings in general. A discussion on the topic of presenting the results of technical research and restorations to the general public will follow. The group will also be able to visit the permanent collection of the Mauritshuis, including the newly acquired flower still life by Ludger tom Ring. Curators will be available for questions. After this, the nearby historic buildings of the Binnenhof complex, the seat of the Dutch parliament, will be open exclusively to participants. Marion Bolten, who published a major study of the subject, will be the guide. The day will end with drinks offered by the Mauritshuis at the museum’s Brasserie. You can find a short program here or download the program in PDF. Information about the locations can be found here.